It’s 2012! We have more entertainment options than ever before and less time to enjoy them. Entertainment is at the heart of the modern technology conundrum – we have so many options that sometimes it seems we have no option at all, because everything is just too confusing to bother with. If things get any more fragmented, we’re all in danger of getting more fresh air and exercise. Really though, the issue lies in how people perceive things to work. It’s really not as complicated as people make it out to be. One big issue is that there’s a handful of underlying technologies, but several companies trying to put their individual stamp on it. So we get competing names for the same thing, as marketing departments attempt to differentiate services that are otherwise identical. Let’s see if we can break things down. Internet Protocol Television (IPTV) is a pretty broad term. We have to remember that TV is a proper word that means something, and not just a brand name. Television literally just means “Something from far away that we can see up close”. What it has come to mean, in context, is filmed entertainment, news and sports, radio broadcasted by big towers to be caught by independent consumers with an antenna, a lead into the house and a monitor that can tune into it. Economically, this is all supported by advertising. Despite the switch to Digital TV, this is still how most people experience TV. The only difference now is that instead of ‘tuning in’ to the signal, the signal is being broadcast as data, and translated into entertainment by a set top box. Economically, this is still viable, but only because people sit back and watch commercials as they come in. And moreover, it’s something you set up once, and it runs from there. The internet, on the other hand, is something of a warehouse for information. It just exists, connected via big national and international cables. It requires the person to go and get what they want, rather than sitting back and waiting for that decision to be made for them. So IPTV isn’t ‘TV’ the way we think of it, it’s entertainment content accessed in some way, shape or form over an internet connection, instead of via Broadcast, Satellite or Cable feed. Because content over the internet requires the user to control the playback, advertising doesn’t really work. You need to charge for individual pieces of content. Most TVs these days aren’t really TVs. They’re monitors. The business of taking a signal and converting it into sound and image is done by set top boxes, computers and other devices, and then they feed directly into a port on the monitor. Some TVs are billed as Smart TVs, which means that they can do all that work themselves without a need for something in between. A set top unit can mean a few things. Most of us have come into contact with this idea if we’ve subscribed to Pay TV. It is what is says it is – it’s a unit that sits on top of (or near to) your TV. It does all the work, and the TV just dumbly receives a feed from it. But an STU can also mean your computer. Your computer acts as an STU to your normal monitor- why not your TV? Some computers these days are built specifically with this mind – they come with several audio-visual output options, to be connected directly to your TV. They come with remotes and media software to enable easy playback. But using your computer, you still have to first set up what you’re going to watch, drop the videos into a playlist, or otherwise decide what you’re watching. You can’t just flop on the couch, hit a button and flip around. Specific STUs can connect to a service. Some connect to your antenna to pick up Free – To – Air TV. Others connect to a cable or satellite port. But some are designed to rely on a service over the internet. Apple TV is a well known example. The Apple TV unit connects to your modem, and then to your monitor. It connects to Apple’s TV service, which offers individual programs for sale, some streaming sports content, and it can also be set up to play back any media you have stored on your computer. Google is warming up to provide a full service that will act more like free to air, with channels instead of just content. Speculation in out there to suggest that Apple is going to revamp their TV offering to make it more of a “tune-in” experience, instead of a library you have to sift through. Smart TV is a product name (Samsung use it as a brand) and a general concept. It’s a monitor with the capability built in to do what a set top box does. So a lead can come out of the modem, and go straight into the back of the TV. Some modems can actually do what the set top unit does. This is where it all gets a little more confusing. Some manufacturers of television sets, such as Sony, are part of larger corporations that have their own media divisions. So a Sony TV can offer specific Sony-owned entertainment. That’s good, if they use it as a selling tool to get you to buy more TVs – and otherwise offer other entertainment. But the worry is that it will lead to exclusive agreements, where ONLY Sony content can be played on Sony TVs. Apple gets around this with their Apple TV set top unit, because any company is welcome to offer their content through it, and because they allow you to play your own content. They also offer plenty of free, independent content offered through iTunes, like podcasts and YouTube video. Don’t worry, we all are. As stated, this is an industry still getting itself sorted. At the heart of all of this is the fact that the Internet doesn’t own anything –it’s a highway, not a store. And because a bit of entertainment can be easily re-consumed, it’s easy for many people to access it for free. That’s harder to do with say, an apple. Even without a Smart TV, or a set top unit, you probably have the necessary tools to watch content from the internet on your TV. You may be able to run a lead from your laptop or PC into your TV, using the TV as a monitor. Then you can just open a browser, go to YouTube, and maximize the screen. As for flopping down on the couch and hitting the remote, that’s a little harder. And buying a bunch of content is very expensive, even if a TV show only costs $4 an episode. If you have 5 shows you like to watch on a weekly basis, That’s $20 a week, or $1000 a year. But the internet isn’t a retail store – it’s a massive, massive warehouse. And when you can easily see how much is available, it gets harder and harder to justify paying retail prices. 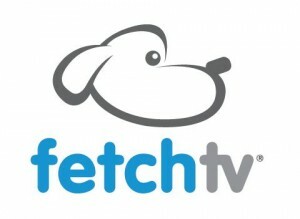 FetchTV is a service that seeks to act like Pay TV, only without any infrastructure. A normal Pay TV provider, like Foxtel, owns the actual hardware that sends and receives your content. So they own cables, satellites, satellite receiver dishes and the set top unit. They then also have agreements with content providers to provide content to run over that hardware. Fetch TV is just the latter. For hardware, they rely on you. They just provide the content over an internet connection – they don’t provide the internet connection itself. FetchTV is offered through Optus (1300 137 897), TransACT (1300 305 545) and Internode (1300 106 571), and has been offered through TPG in the past (it may someday again). It offers channels like Animal Planet, CNN, MTV, National Geographic…basically most of the channels you could get on Foxtel, but because it’s just a service that relies on your existing hardware, it can be as cheap as $10 a month. FetchTV can provide a set top box, or can play through an appropriate media player on your computer. There’s no agreed upon way right now to get TV over the internet. It’s still a bit too all over the place, with no central control. There are plenty who would like to do it, but no-one has found a way to make it ‘just work’ yet. It could be Apple or Google who do, or it could be Samsung. It’s unlikely that we’ll ever have anything as straightforward as good old fashioned free to air TV, but we should have more options to get the things we specifically want. Right now, if you want to watch Internet content on TV, you can. If you want to get TV content over the internet, you may be able to. But if you want to sit on the couch, hit a button and be treated to every channel in the world, without needing to really know how it all works? We’re not there yet.